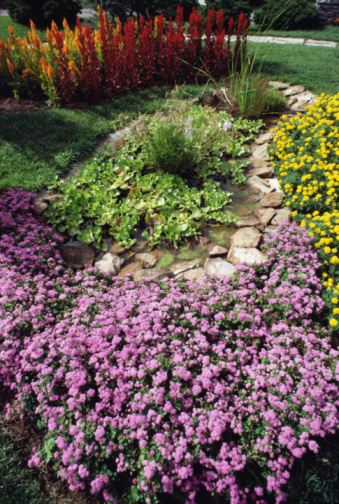 Clovers are perennial weeds that invade lawns and crowd out your preferred groundcover. Clover thrives in soil with a pH of 6.4, according to the University of Kentucky. Liming your yard to make the soil less desirable for clover may be beneficial, depending on your soil's pH. Because most turf grasses can grow at a pH of 6.0 to 7.0, you can make the soil less acidic with lime to reduce your clover population. Test your soil's pH in the spring when the ground is unfrozen. Use an auger to remove soil samples 3 inches deep in 10 areas of your lawn, as recommended by Cornell University. Mix the samples in a bucket. It's important to remove any vegetation or debris from the soil samples. Also, allow the soil to dry out before placing it in a container to send to your local cooperative extension office. Generally, it takes two to three weeks to receive a soil analysis of your yard. The amount of lime you apply will depend on the soil test results. For example, gardeners can spread 50 lbs. of lime per 1,000 square feet to raise their soil pH from 6.4 to 6.8, which is outside of the clover's preferred range. Make sure that the groundcover or turf grass you want to grow can tolerate that soil pH. For instance, bahia grass will not tolerate a soil pH range outside of 4.0 to 6.5, according to Hawaii University. Avoid applying lime over your turf grass on a hot day. Lime can burn yards during hot weather or when grass is water stressed. Apply dolomite limestone granules evenly over the yard. You can use a rotary spreader that broadcasts limestone over the lawn. Give the yard 1 inch of water after applying the limestone. Retest the soil in three months, because it takes that long for limestone to alter the pH. Gardeners who don't want to alter their soil's pH can employ other ways to remove clover. 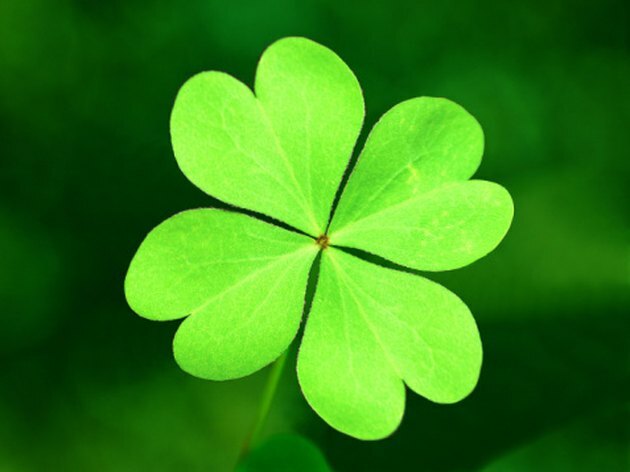 Clovers hate fertilizers high in nitrogen. Just by following proper fertilizing practices, gardeners may remove clover from their lawn. Alternatively, spray clover with a herbicide that contains the active ingredient MCPP, as recommended by the University of Minnesota. Wait for a dry day to apply the herbicide. The clover typically dies off in six weeks.